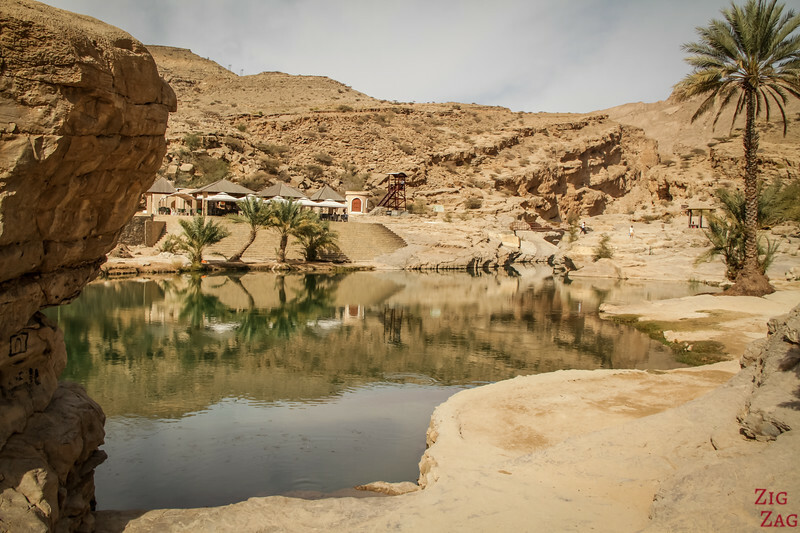 Wadi Bani Khalid Oman is one of the most famous wadis in the Sultanate and after seeing the pictures below you will understand why. 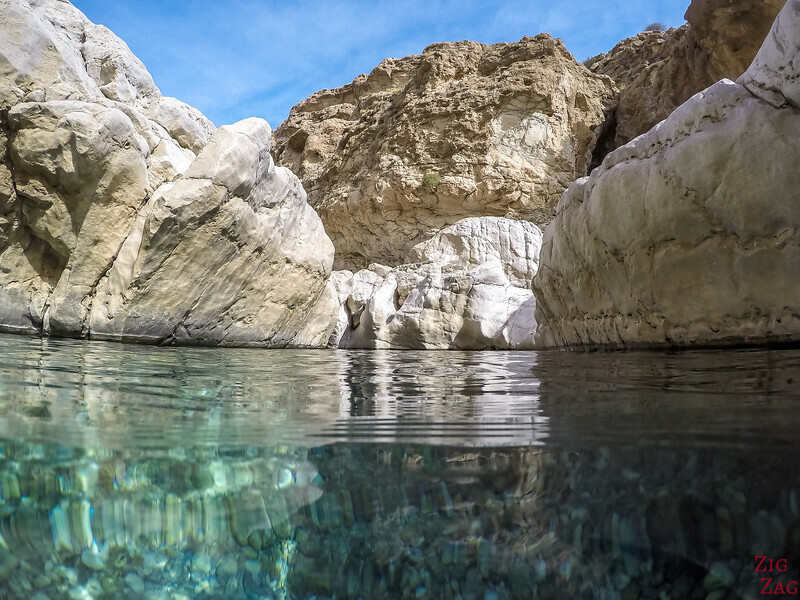 A short walk takes you to large emerald pools and a narrow zigzagging canyon filled with giant white boulders. Fancy a swim? Below is my travel guide to help you plan your visit. 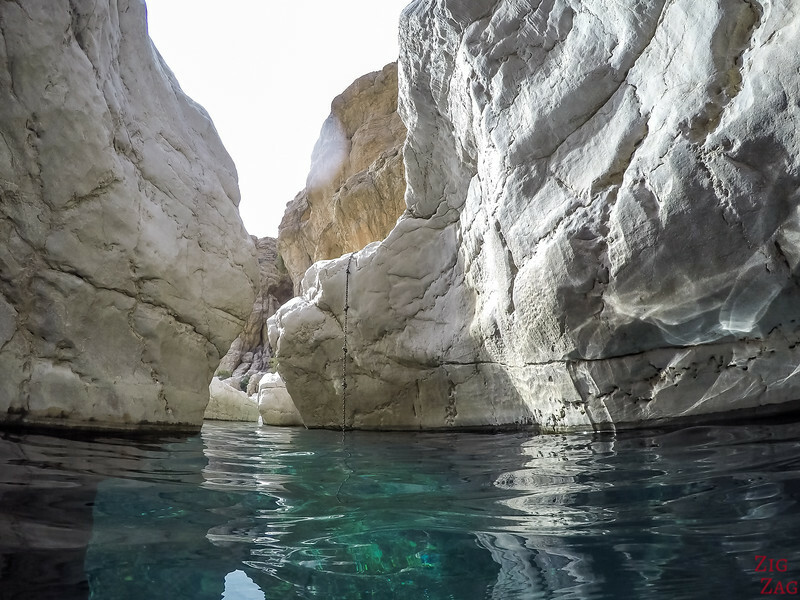 Let's start with a short video showing you the beauty of Wadi Bani Khalid with its big wild boulders and emerald pools. 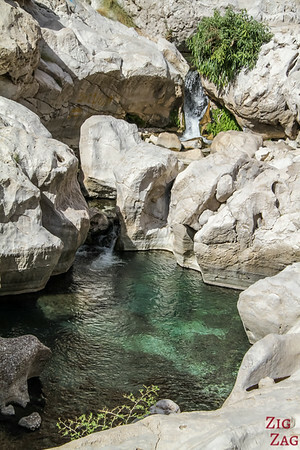 You will also see what it is like to swim in the top pool accessible by a 10 min hike. Driving along the river bed... The road is not difficult. Even before reaching the site itself, the drive is fascinating. Big white boulders have rolled into the river bed. 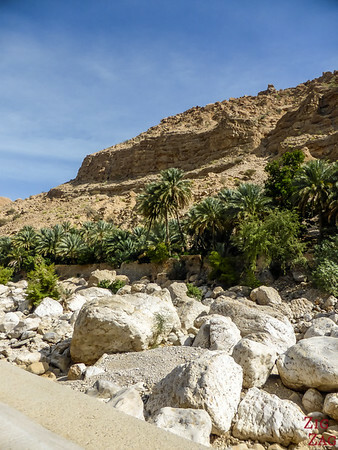 The advantage is that water flows in this very long wadi all year round so there are lush plantations all the way. At the end of the drive you will find a large parking area where you have to stop before continuing on foot. 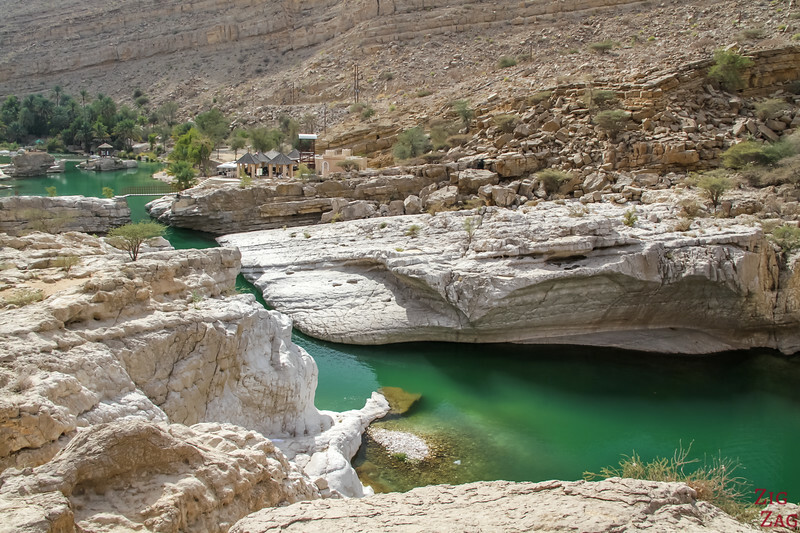 And if you don't want to drive, know that Wadi Bani Khalid can be visited on a day trip from Muscat with a guide in combination with the Sand dunes of Wahiba Sands. 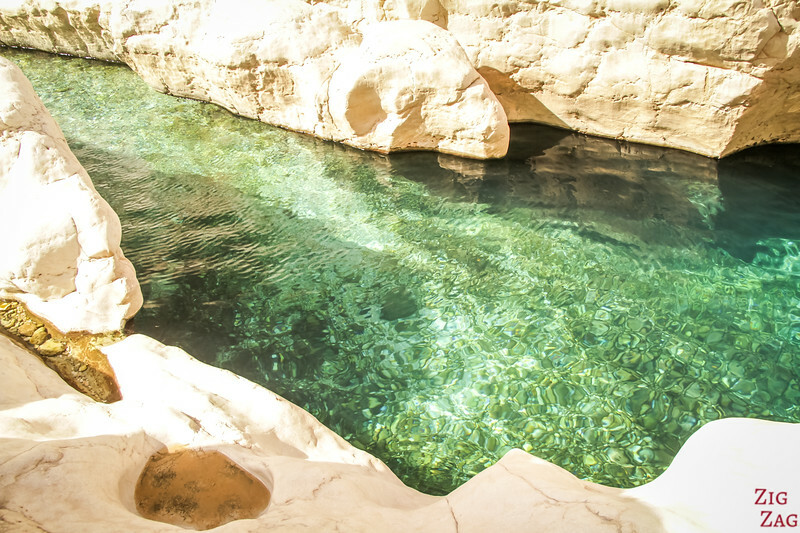 Like in Wadi Shab, you can swim in the pool systems, either in the large main pool near the restaurant or in the narrow ones upstream. 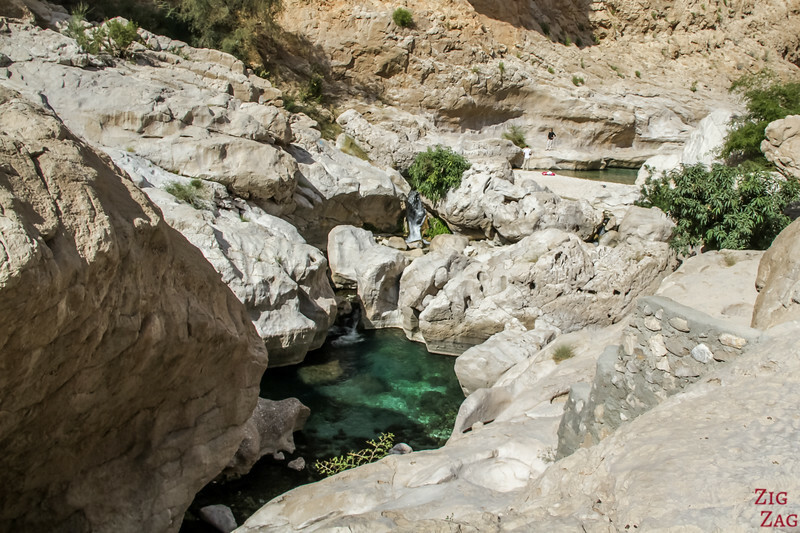 This is why it is one of my top 10 things to do in Oman. 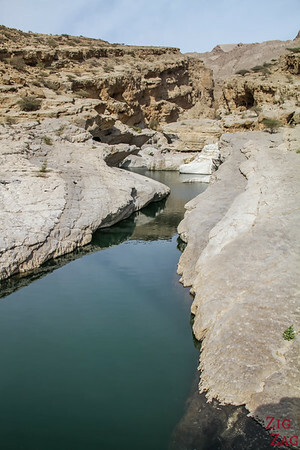 It is a short easy walk to the first pool of the wadi which is quite large. As you can see it has been developed but with taste and restraint (as always with Omani people). 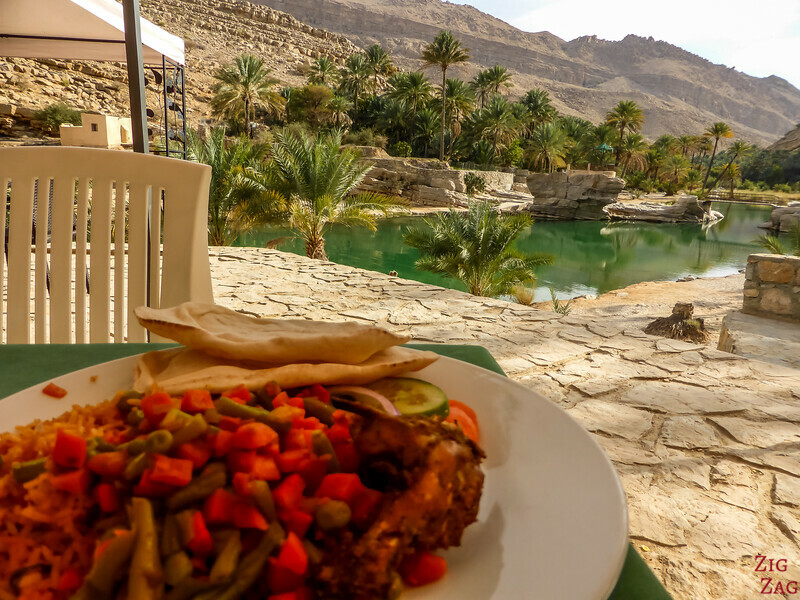 A restaurant has been set up before the entrance to the narrow part of the wadi. The toilets are at the back. 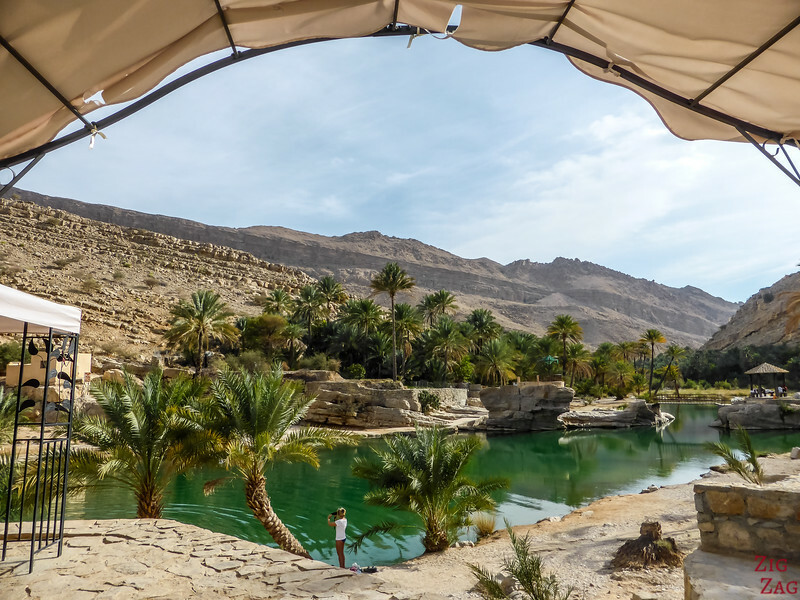 To reach the restaurant, they have built a small bridge over the wadi which gives you a chance to get a glimpse of what there is to come. Sadly the sun was high and my photos cannot give justice to the place. 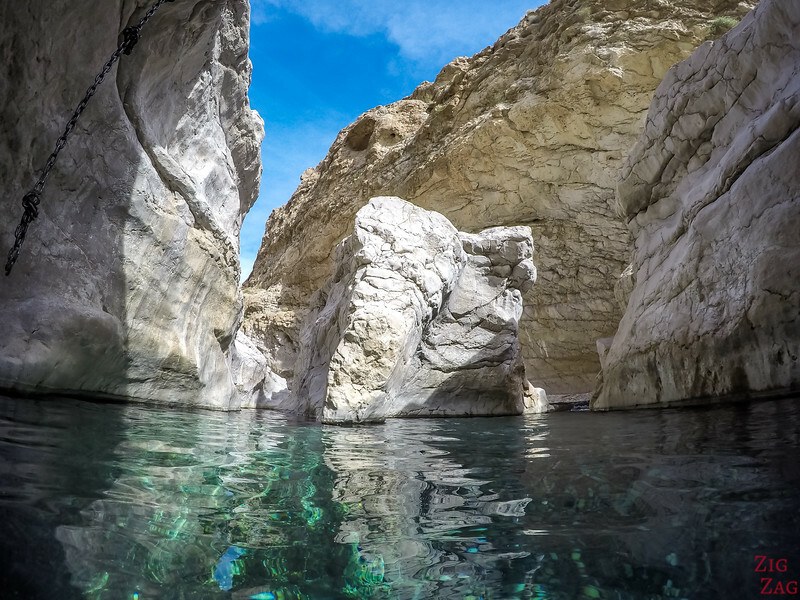 The short hike takes you between the white cliffs along the turquoise water flowing in the opposite direction. Be careful the rocks tend to be slippery. I was lucky it was very quiet when I visited. But it can be quite busy, especially during the local weekends. So happy to have purchased by GoPro with waterproof case for that trip! I had a floating grip attracted to my wrist, so it was very easy to swim with it and not worry about losing the equipment! Get your GoPro on Amazon! You can keep walking after to reach a cave called Muquil cave; 10min more of walking. Don't forget to bring a flashlight. I am not a big fan of cave so I did not go. I would recommend bringing a picnic ​and finding a nice spot though. 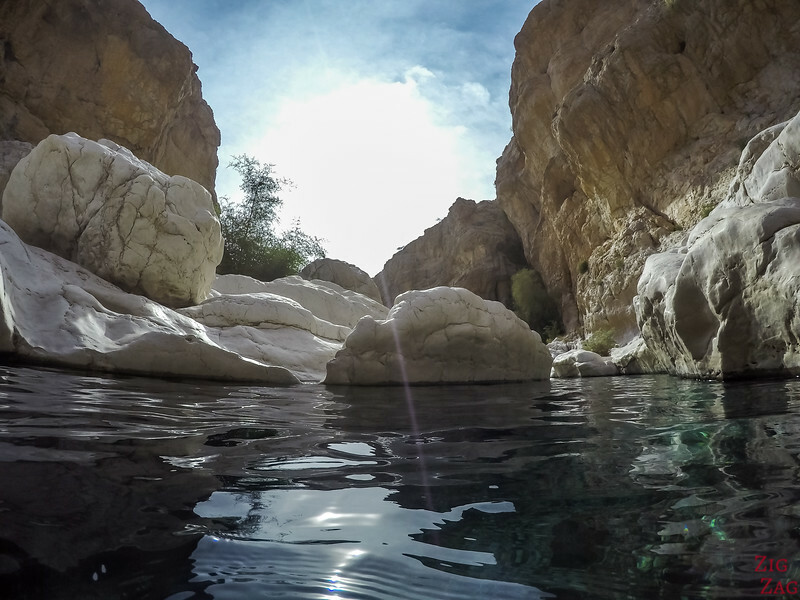 Contrary to most wadis in the Sultanate, Wadi Bani Khalid has been developed for tourism. However I am happy to report that it remains tasteful. 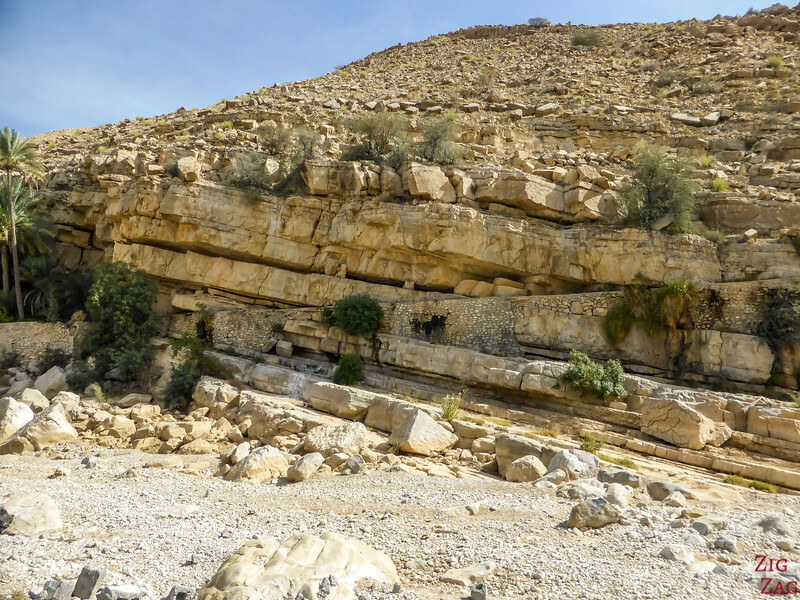 Plus the narrow section with the white boulders and the zigzagging work of erosion remains wild because you can't access it easily. You can also go further into the Muquil cave. I did not because it is just a cave, but if you like those, just hike a bit further. 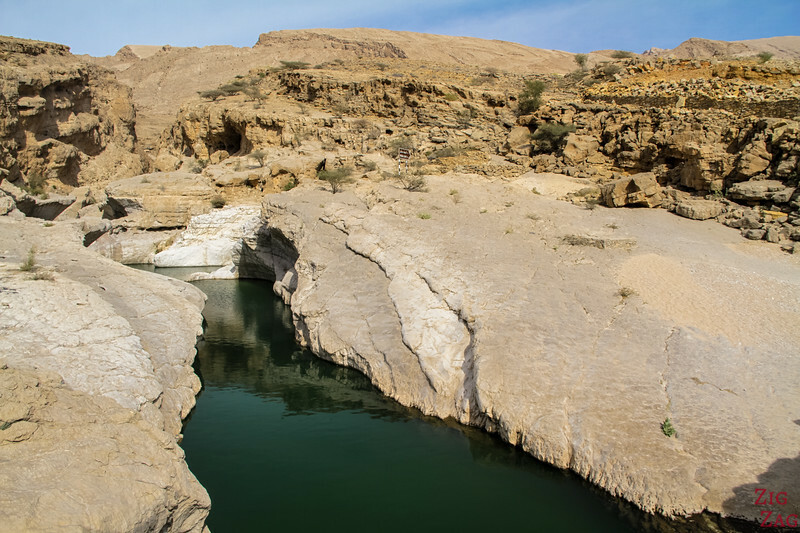 Wadi Bani Khalid is actually very long so google maps does not show you the touristy part of it. 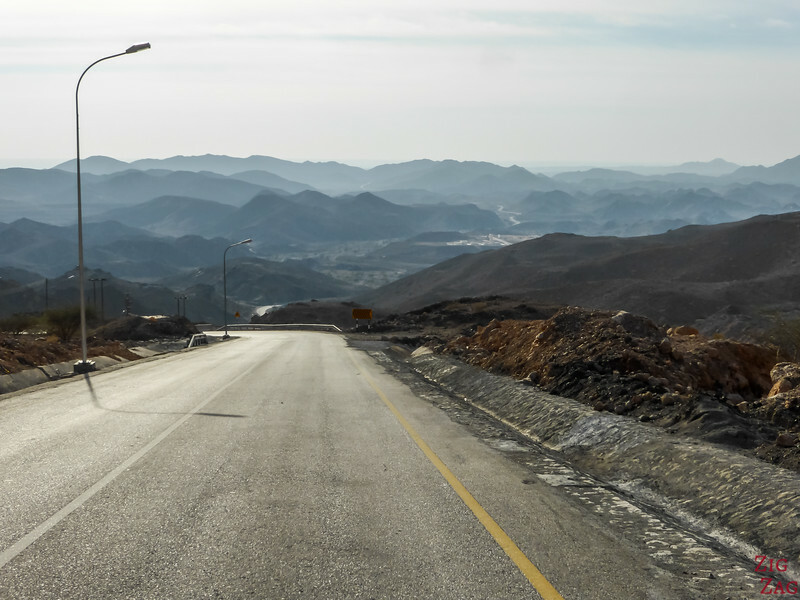 From Road 23 between Al Wasil and Al Kamil turn into Wadi Bani Khalid. 30 min drive from the main road. You will cross villages. 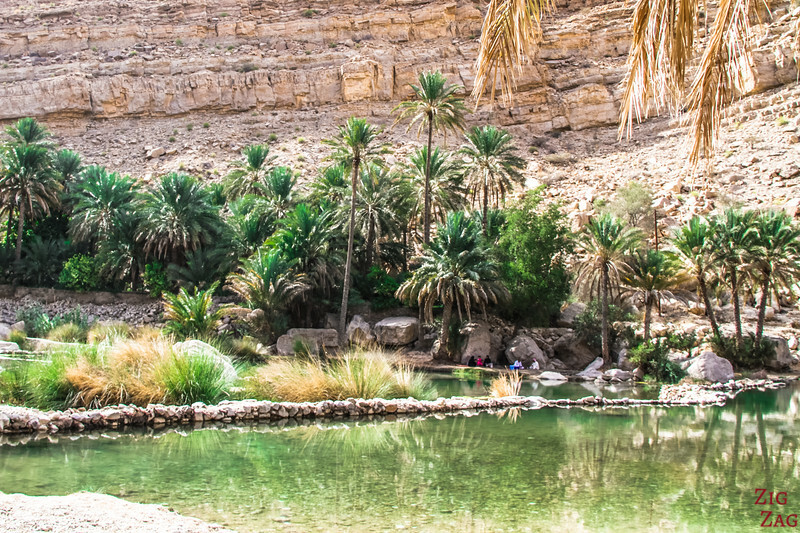 This location, along with many other beautiful places, is included in my eBook: Experience Oman. I gets really hot, don't forget to protect your head and drink water. 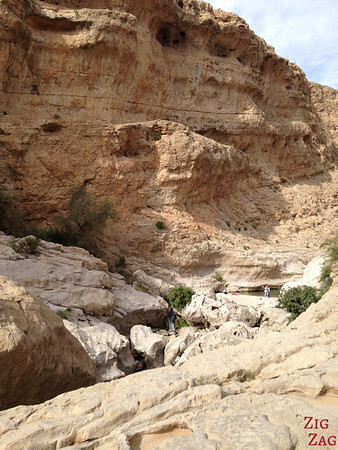 There is no hotel or accommodations that I have seen in the canyon. 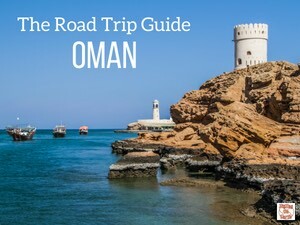 Do you understand why it is one of my 10 favorite places in Oman? Have you ever had your dead skin sucked by fishes?